TBS is bringing the comedy to Christmas. Recently, the network announced they are airing a holiday marathon featuring full seasons of Angie Tribeca, The Detour, Wrecked, People of Earth, and Search Party. Earlier, we reported that Search Party has just been renewed for a second season. The comedy mystery stars Alia Shawkat, John Reynolds, John Early, Meredith Hagner, and Brandon Micheal Hall. The “binge-a-thon” begins on December 25th at 11 p.m. ET/PT. Turner’s TBS is preparing to cap its banner year with a week-long binge of the network’s hit slate of original comedies. Kicking off Christmas night at 11 p.m. (ET/PT), the 121-hour TBS Binge-A-Thon will showcase every episode of the hit series Angie Tribeca, The Detour, Wrecked, People of Earth and Search Party, all of which have garnered tremendous praise from critics and rank among cable’s Top 25 new scripted comedy series of 2016 among adults 18-49. TBS’s new original comedies are part of an extensive brand evolution that began in January with a 25-hour binge premiere for Angie Tribeca. The acclaimed cop show parody was the first of six consecutive hits for the network, which also includes Full Frontal with Samantha Bee in February, The Detour in April, Wrecked in July, People of Earth in October and, most recently, Search Party in November. All six shows have been renewed for new seasons in 2017. Complete descriptions of the five comedy hits featured in the TBS Binge-A-Thon are included below, along with a full schedule for the week. 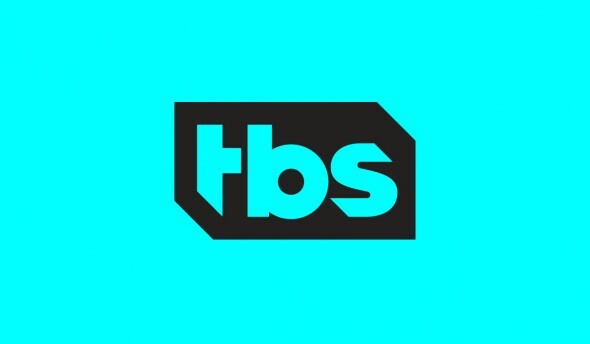 In addition to their linear presentations, all five series will be available to subscribers through TBS’s VOD, mobile and digital platforms, as well as the on-demand platforms of TBS’s cable/satellite partners. The brainchild of Nancy and Steve Carell, Angie Tribeca stars Rashida Jones, Hayes MacArthur, Jere Burns, Deon Cole, Andrée Vermeulen and Jagger. The series follows a squad of committed LAPD detectives who investigate the most serious cases. At the center is Angie Tribeca (Jones), a lone-wolf detective, and her partner, Jay Geils (MacArthur). They are commanded by the squad’s apoplectic Lt. Atkins. Helping solve each complex case are Detective Danny Tanner (Cole), brilliant medical examiner Dr. Monica Scholls (Vermeulen) and Detective David Hoffman, Tanner’s K9 German Shepard partner played by Jagger. Angie Tribeca has drawn widespread critical acclaim, with the LA Times calling it “an entertaining joyride,” Vanity Fair dubbing it “absurd and very, very funny,” and Entertainment W eekly saying “it never gets old.” Ira Ungerleider serves as executive-producer. Created, written and executive-produced by Jason Jones and Samantha Bee, The Detour is an often too honest look at the family dynamic and the chaos that can erupt from not being honest with the ones we love. Jones is joined by Natalie Zea, Ashley Gerasimovich and Liam Carroll in the series, which follows a family on its misadventures during a disastrous road trip from New York to Florida. A critical hit, The Detour has been praised by critics as “intrinsically honest, convulsively hilarious and oddly endearing” (Newsday); “audacious, pause-to-laugh hysterical, and yet somehow endearingly tasteful” (We Got This Covered); a show that “hits with sharp and intelligent writing, versatile direction and performances that honor the insanity of it all” (The Hollywood Reporter); and “a crazily quilted a nd frequently laugh-out-loud comedy” (Uncle Bark). The Detour is executive produced by Jason Jones, Samantha Bee and Brennan Shroff. Created by newcomers Justin Shipley & Jordan Shipley, Wrecked is TBS’s most popular new comedy and one of the Top 5 new comedies of the year on cable. The series centers on a diverse group of plane crash survivors on a remote island where they must face many threats – mostly brought on by themselves. The ensemble cast for the first season includes Asif Ali, Zach Cregger, Rhys Darby, Brooke Dillman, Ginger Gonzaga, Will Greenberg, Jessica Lowe, Ally Maki and Brian Sacca. The series has been praised by critics as “an enjoyably mindless comedy” (New York Times); “a comedy beyond mere parody” (Uproxx); “imaginative” (San Francisco Chronicle); and “a Lost parody that works” (TV.com). Wrecked is executive-produced by the Shipleys, along with Jesse H ara and Moses Port. People of Earth stars Wyatt Cenac as a reporter investigating a group of alien abductees – they prefer to be called “experiencers” – only to find himself becoming a member of the group. The series from Emmy(R) winners Conan O’Brien and Greg Daniels, along with creator David Jenkins, has been widely praised by critics, earning a 92% Fresh rating from RottenTomatoes.com. It has been called “sweet, smart, quirky, story-strong and funny all at the same time” (The Hollywood Reporter); “clever and thought-provoking” (Vulture); “initially silly, then sublime” (Newsday); “easy to love and laugh at” (We Got This Covered); “gently funny, but also endearing” (Boston Globe); and “a funny, bizarre high-concept comedy” (Pittsburgh Post Gazette). Jeff Ross, David Kissinger, Larry Sullivan and Norm Hiscock also serve as executive-producers. Search Party, starring Alia Shawkat, John Early, John Reynolds, Meredith Hagner and Brandon Micheal Hall, has earned a spot as a top critical darling. The dark comedy about a group of 20-something New Yorkers involved in the search for a missing woman has garnered a rare 100% Fresh rating on RottenTomatoes.com. Critics have hailed it as “brilliant” (Flavorwire); “exceptional… a great show, refreshingly unafraid to twist the knife” (Vulture); “tightly made and effective on multiple levels” (Los Angeles Times); “surprisingly entertaining and even, here and there, moving” (New York Times); “an unusual holiday trip… one worth taking” (Salon); “ambitious, simultaneously off-putting and addictive” (The Hollywood Reporter); “refreshingly honest” (The Daily Beast); and “a genre-bending new comedy worth investigating… engaging, thoughtful television” with “a strong voice that proves worthy of trusting up until its final seconds” (indieWIRE). Search Party is executive-produced by Michael Showalter, Sarah-Violet Bliss, Charles Rogers, Tony Hernandez and Lilly Burns. What do you think? Are you a fan of TBS’ original comedies? Will you watch the holiday binge-a-thon? More about: Angie Tribeca, Angie Tribeca: canceled or renewed?, People of Earth, People of Earth: canceled or renewed?, Search Party, Search Party: canceled or renewed?, TBS TV shows: canceled or renewed?, The Detour, The Detour: canceled or renewed?, Wrecked, Wrecked: canceled or renewed? I have tons of things on DVD to watch, and there will be tons of Football. Those of you who like these shows, Enjoy.